Discussion in 'Lexus Lounge' started by krew, Jan 18, 2016. The Detroit Bureau is reporting that Lexus will offer an LC convertible in 2018. Den, IS-SV and Trexus like this. Nice photochop. Let's see a rear 3/4 shot top down, and one with the top up. An LC Hybrid is a good idea, but I'm sure it wouldn't get enough sales, since it would be more expensive. No.... they should make the RC Convertible first. The IS Convertible is already aging like crap. Don't hold your breath for it! no IS-F for this generation . 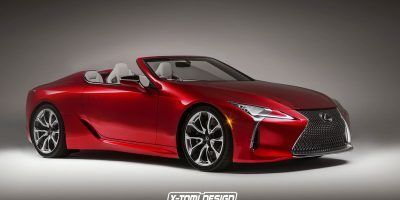 Photochopper Theophilus Chin has created a convertible version of the Lexus LC 500. Den and Trexus like this. 1)is it true the rumors that the next generation 86 / BRZ will be based on the miata with longer wheelbase ? 2)will we ever see something have the same handling of the 86 in LEXUS lineup , maybe the next 86 with version at LEXUS ? 3)i was so sad with the RCF , in comparing it to the 86 & the M4 , it's heavy & it manage to feel the driver this, will LEXUS fix this mistake in the facelift or wait until the next generation ? 4)if the 86 for me still the ultimate , is it good for me to dream about the agile driving of the LC & Supra ?, or this will broke my heart ? 5)how a company that made the 86 in the lowest spectrum and the LFA in the highest spectrum don't have sport marque ? Not true, more like 2020.